If you are charged with or accused of child abuse or neglect, you need the most aggressive, effective defense available in Michigan. In many cases, these allegations made are out of context or blown into disproportionate accusations which can result in life altering consequences. Because law enforcement and prosecutors are often overzealous in the prosecution of child abuse cases, building a defense or mitigating the outcome can be too much for a single lawyer to handle. Our team of criminal defense attorneys work together to formulate a plan to help our clients get the best outcome possible when accused of the abuse or neglect of a child. 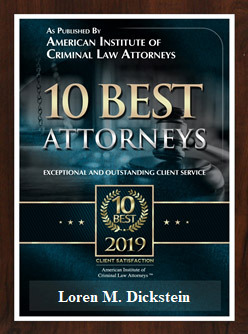 We understand the emotional toll that these allegations can take and give the support that is needed to help our clients through the difficult and painful process of being charged or accused of conduct which may be classified as a felony or misdemeanor. Child abuse can include intentional physical or mental injury, maltreatment, sexual abuse or sexual exploitation, and even placing a child at risk for serious bodily injury even if no harm was caused. Child abuse allegations are often the result of a misunderstanding, an accident or, in some cases, false allegations of a scheming ex-spouse, vengeful teacher or misguided CPS agent or police officer. It is our job to protect you and make sure the true facts come to light. With decades of experience in handling neglect and abuse cases, the team of attorneys with LEWIS & DICKSTEIN, P.L.L.C. has the power to defend you and your children from the tragic impact of a false or exaggerated allegation. There are cases where a parent or caregiver momentarily loses control and hurts a child in an inappropriate way. These cases can range from minor emotional or physical abuse to serious life threatening or fatal injuries. 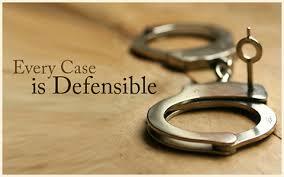 The importance of having a seriously experienced criminal defense attorney cannot be understated. A very persuasive defense lawyer can often find ways to resolve these cases in ways that will limit potential jail or prison time through plea bargains and sentence agreements and also reduce the chances of child custody problems, shorten the term of probation that may be imposed, and control the terms and conditions of probation. Courts that place these defendants on probation frequently order terms and conditions that can be so onerous and exhaustive that even the most responsible people struggle to comply. In conjunction with criminal charges and often without any criminal charge at all, CPS frequently takes radical and sweeping measures to interfere in a parent’s parental rights when an allegation is made of neglect or abuse. Unfortunately, these workers often take false or exaggerated allegations and just assume they are true without a thoughtful review or a critical analysis of what may be motivating a false allegation. Worse yet, CPS workers are frequently over worked which can result in an incomplete investigation and the substantiation of a false allegation. Our team will work with you to make sure the record is straight and stand in the way of an “investigation” that is really little more than a witch hunt. These investigations can result in the loss of parental rights, limitation or elimination of visitation and much more. 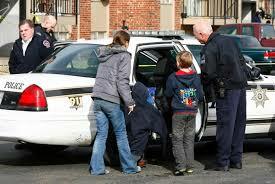 First-degree child abuse is the most serious of Michigan’s child abuse offenses. These charges are filed in situations where a parent is alleged to have intentionally inflicted serious physical or mental harm on a child. A person’s omission or failure to act causes serious physical harm or serious mental harm to a child or if the person’s reckless act causes serious physical harm or serious mental harm to a child. When person is accused of knowingly or intentionally causing any physical harm to a child. This charge results when a person is charged with knowingly or intentionally committing an act that poses an unreasonable risk of harm or injury to a child, regardless of whether physical harm results. The defenses to allegations of any form of child abuse are complex. Even experienced criminal defense lawyers are often afraid to adequately defend these cases or are not aware of the defenses that may be available. There are cases where the allegations are false or exaggerated and the defense may be to prove that the true facts do not equate to abuse or at least not to the degree of abuse alleged. An experienced child abuse defense lawyer will know how to use the facts of the case, a complete investigation, the testimony of experts, the science of medicine and the expertise of cross examination to fight for their client’s freedom and their rights to their children. A parent in Michigan has the right to physically discipline their children. This right is controversial and many prosecutors, police officers and CPS agents ignore the law and prosecute cases which should not properly be in court. The standard in Michigan is that any corporal punishment must not be excessive. In court, excessive is often judge by whether the physical discipline resulted in any visual markings. Many people accused of child abuse or neglect make the drastic mistake of waiting to seek counsel. Police and CPS workers are experts at manipulating suspects in to making statements that can be misconstrued as evidence of guilt. Law enforcement will almost always advised an accused individual not to seek counsel because they know that their best chance of gaining evidence is without the involvement of an experienced criminal defense lawyer. The fact is that these allegations almost always result in CPS investigations or criminal charges and it takes the involvement of great defense attorney to limit or prevent the charges from being issued by the prosecutor when possible. When charges are issued or evidence is created as a result of an unwitting, naïve suspect, a huge opportunity to limit the damages is lost by the failure to act quickly. We are frequently asked whether the involvement of a criminal defense lawyer looks “bad” or makes someone look guilty. The simple answer is “no”. Hiring a lawyer makes someone look responsible and like they take the allegation seriously. Furthermore, prosecutors do not make charging decisions based on how a person looks; they make decisions based upon the evidence and what they believe they can prove in court. A defense attorney can help provide exculpatory evidence, discredit alleged inculpatory evidence and make sure the prosecutor knows that an easy conviction will not result from questionable charge in court. Although the potential consequences of a conviction for child abuse can be life altering in a devastating way, there is hope. We have been successfully and effectively defining these cases for decades. We will take the time to fully understand your concerns, to investigate the case and formulate a plan to achieve the best possible outcome. If there is a way to help you, we will find it! 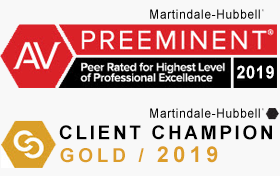 Please all us today at (248) 263-6800 for a Free Consultation or complete a Request for Assistance Form and a seriously experienced criminal defense attorney will promptly contact you.